By tomorrow I will have moved on and left 2017 behind. The New Year has plenty of tasks planned for it, and there are plenty of things I didn't get done in 2017 but I am hoping to wipe the slate clean overnight. Those things that didn't get done will be left behind and I will make a fresh start on a new list in the morning. It seemed like a good time to look back at how things have changed in the garden during the last year. Woodland. Aspidistra garden. South wall. If a tree falls in the woods does anybody hear the howl of frustration? This little patch of woodland is at the top of the garden, and a long way from anybody. A fortunate thing, because it wasn't so much a howl as a stream of invective. Two weeks ago I came up here and cleared all of the fallen branches from the ground. I trod carefully, watching every step, because the snowdrops are already pushing up. I looked at this tree and decided that it would have to come down as soon as the spring growth had finished. I should have made the decision last year, rain and strong winds brought it down in the week and I don't think I can walk on there now to get it out. 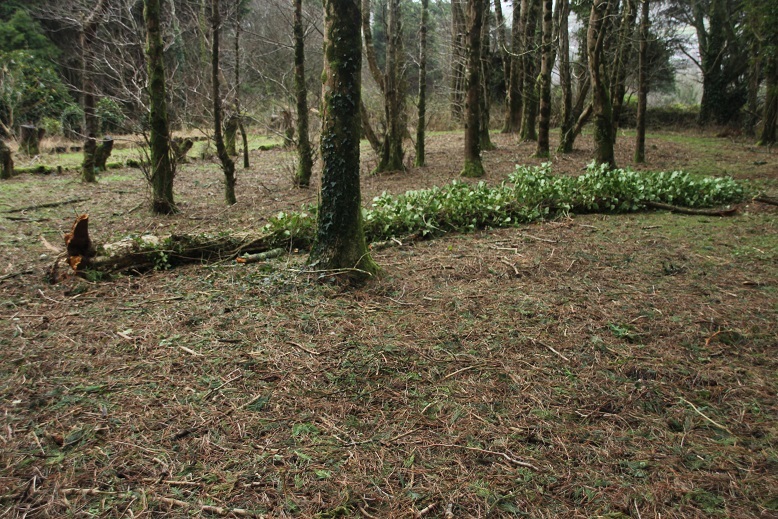 All of the trees went in at the same time and they are all unstable, so perhaps by July I will have I giant heap of firewood to remove. More likely to burn in place, it's a long walk down to the house from here. It's a long walk, and I am acutely aware of it. The Aspidistra had been in the greenhouse for too long. They were all in need of repotting, there was no space left and I had a raging outbreak of scale insect that I had not managed to get under control. The solution was to build an Aspidistra garden in spring. A couple of days clearing the ground was the easy part. So far all I have done is stood the pots out in rows, but the pots had to be pushed up the hill two at a time in a wheelbarrow. It took a month to move them all but it was worth it, the plants looked better as soon as the first rains hit them and the scale insect have either died of cold or been eaten by the birds. It feels like a good move, now I am hoping they cope with the winter cold. At the last minute in December I took off divisions of those that are most likely to be tender and that I would most miss if they died. It was a performance, but there are a few I don't think I could replace. The other great change for the year was the removal of the old conservatory, which revealed a south facing wall of the house. It has been wonderful to have some sunny space, I have spent far too much time this summer sitting out there and feeling smug. It reminds me that editing out the things you don't want is almost better the getting things you do. Perhaps the best Christmas present for anybody is to throw something away for them they are fed up with. A south facing wall gave me the opportunity to try some things outside that I wouldn't have had the nerve for. Leucadendron 'Burgundy Sunset' had the most amazing purple-black leaves. 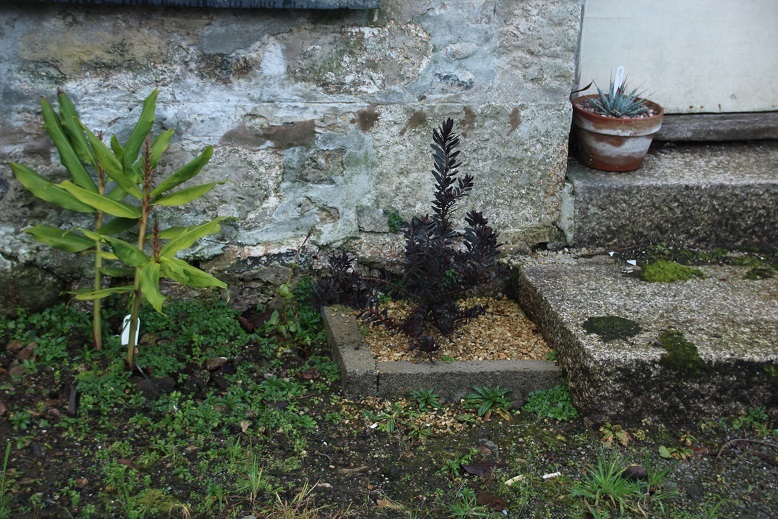 I first saw it growing by the sea at Falmouth and immediately wanted it. Took a while to track one down but here it is. If it doesn't grow here, I might try one under cover because it is fantastic. In a fit of wild exuberance I planted L. argenteum on the other side of the door. I think that was a step too far. By the end of November it was looking bedraggled so I put a sheet of plastic over it - I think it is dead now. I have one in the Agave house being embarrassingly vigorous and that might be the limit of possibility. Semele androgyna. 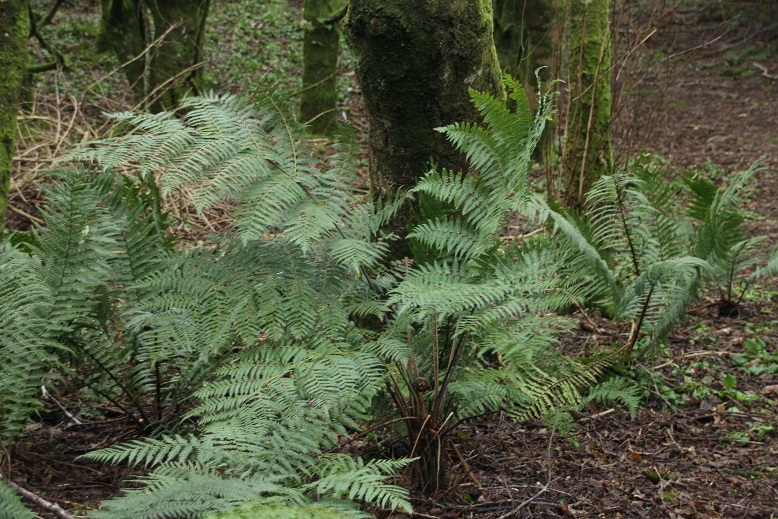 Cyathea dealbata. Dicksonia antarctica . The greenhouse is bursting at the seams. It has been a problem for a few years, but I have started to get fed up with overgrown plants stopping me moving. This year things went out, like it or not. 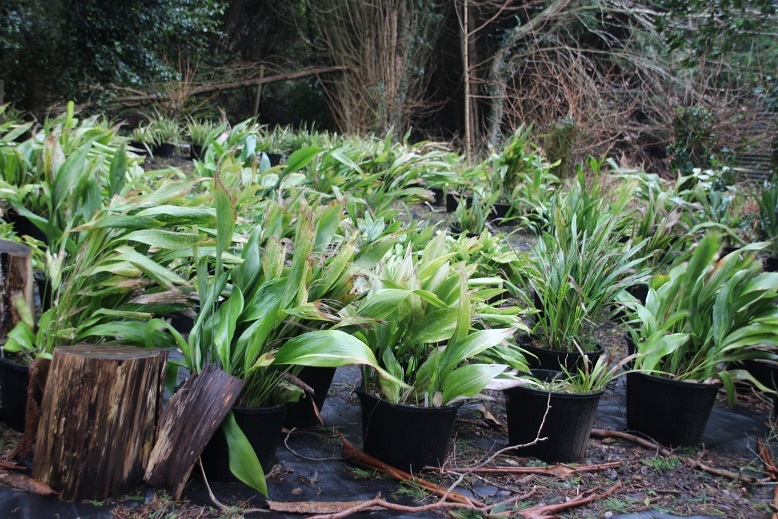 I have started with the Hedychium but called a halt when the weather started to threaten frost. They will have to take it eventually, but perhaps planting into frozen ground is a little harsh. Semele androgyna went out. In the greenhouse the long arching stems tangled through everything, outside it looks tiny. I don't recall seeing it outside in a garden (anywhere?) so this may be a bit risky, but I have kept a division inside for now. Cyathea dealbata went out a couple of years ago. It was dying in a pot, and had got to the point where I couldn't see how to repot it withou the assistance of a gang of navvies. Even moving it into the garden took more effort than I like to expend these days. Still, out it went. At the bottom of the slope under the trees it is sheltered and always moist. If it is going to grow anywhere in the garden, it should be here. 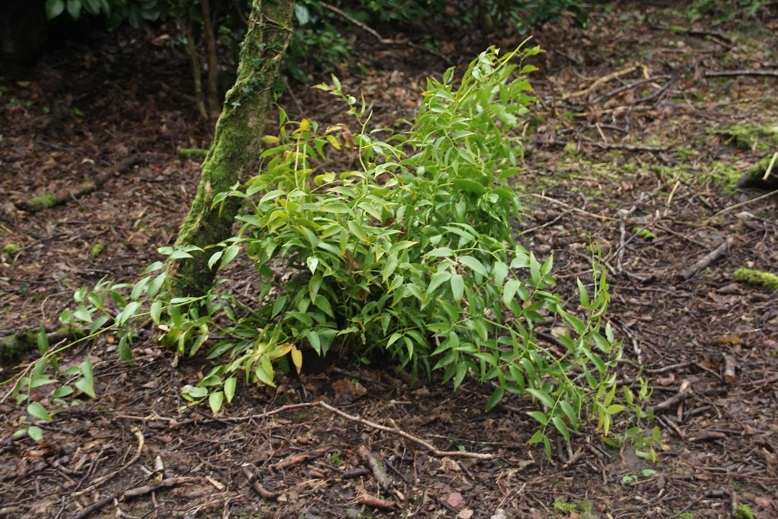 It has survived a couple of winters now, although they have been mild, and it is looking healthier than it has for years. I think the trunk has started to grow again so I have my fingers crossed for the future. Dicksonia antarctica has certainly preferred life in the garden. I have planted a lot out in the last two years and they have taken to it with enthusiasm. 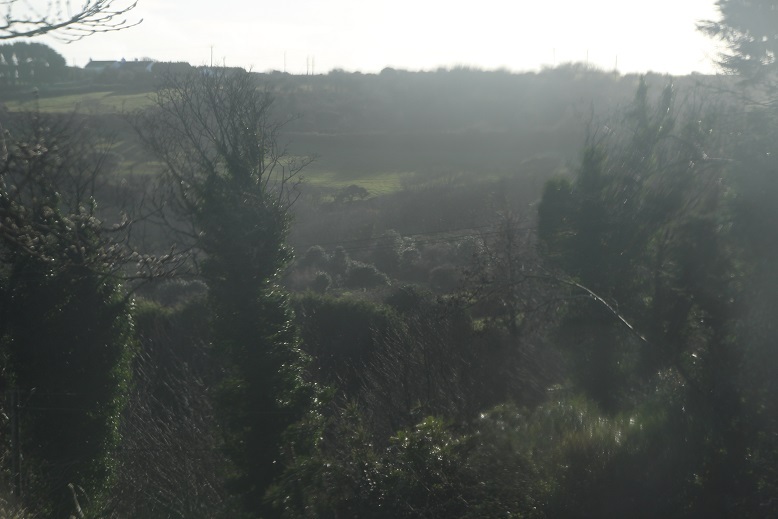 When the Eden Project planted their hillside with a hundred trunks I laughed at them for putting them in too closely. Perhaps they needed to be close to survive the exposure. Watever, the joke's on me, I have done exactly the same. In my defense, I only spent £40 on the whole lot as sporelings and I suspect that Eden spent a lot more than that. Mine went in from 5" pots that were just taking up to much space in the greenhouse. Now I will have to go through the group and transplant most of them to make enough room. I don't really mind if they take up five times as much space. This year I planted a double row of them at the back of the herbaceous border, so they should look good when they mature (and I still have four in the greenhouse to get out). Pyrrosia lingua 'Crestata'. Selenicereus urbanianus 'Monstrosus'. Dendrobium x speciokingianum . The years roll by and my obsessions change. 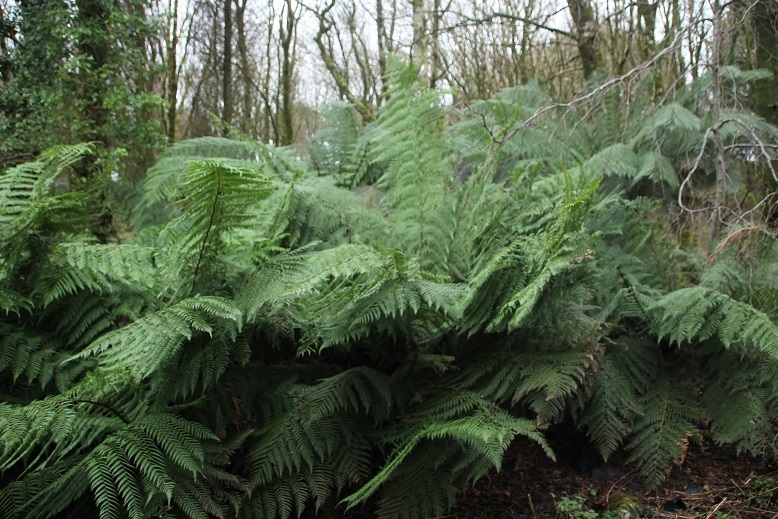 For a couple of years now I have had a bit of a thing for 'borderline hardy' ferns and during the spring this developed into a serious fixation on Pyrrosia. I had a few from China that have matured, and there were a couple that I had lost and was missing, so I started to research them and before I knew it I was hooked. This is Pyrrosia lingua 'Crestata', a Japanese selection which should be hardy in the greenhouse. P. nummulariifolia clearly isn't but it was sold to me as a terrarium plant so I can't say I am surprised. It didn't make it through last winter and I thought I had accepted its passing. Looking around my office I see I have constructed a new terrarium. I thought I had only made it for the tiny orchids but I'm sure there is space for a tiny fern. There are one or two others I would like to try as well. I had wondered why I felt so good about the terrarium, the realisation that it allows me to pursue an obsession is news to me, at least consciously. The Selenicereus is a curious thing. Yesterday I brought it in to stand on the windowsill in the spare bedroom. 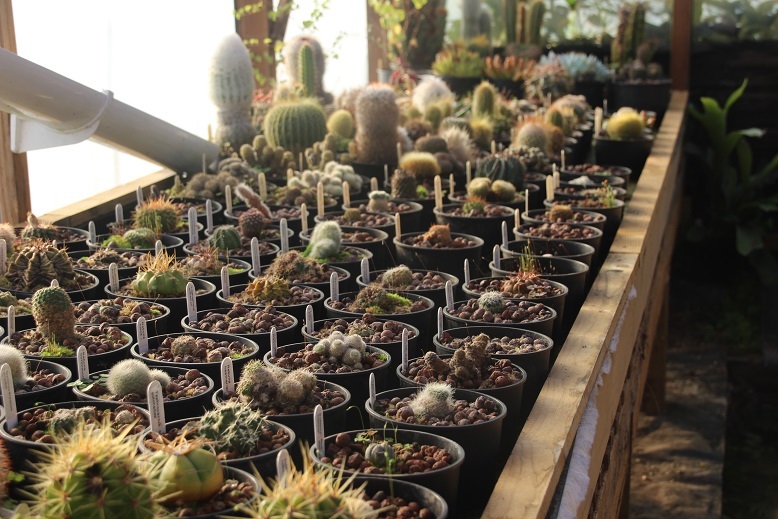 The intention with cacti is always that they will have to take their chances in the greenhouse. I'm not going to heat them, and I'm not going to carry them in and out. There are a few exceptions. Euphorbia canariensis has been in and out for years. 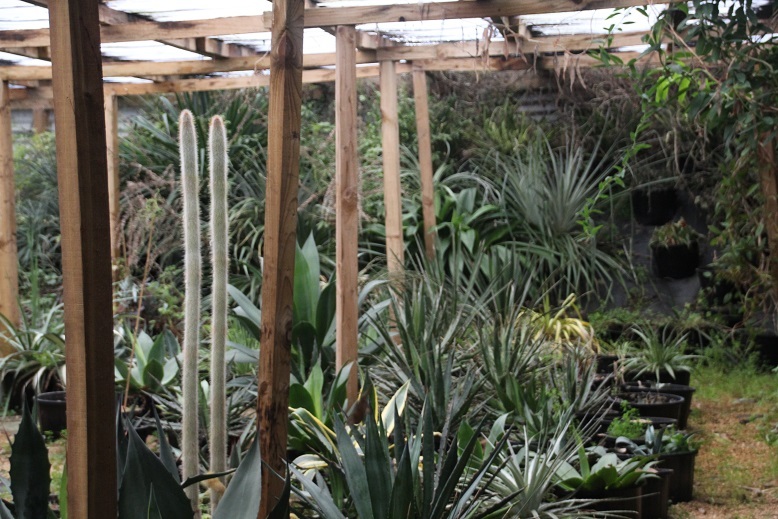 This autumn it was too big to move through the doors so it has gone up into the Agave house. That will be the last time it is moved so it can survive or not. If it gets through this winter I will root a branch next year as a back-up. Now I think about it, I might go and get one this afternoon. It can lie around in the house until spring without problems. The mostrose Selenicereus is an accident in many ways. 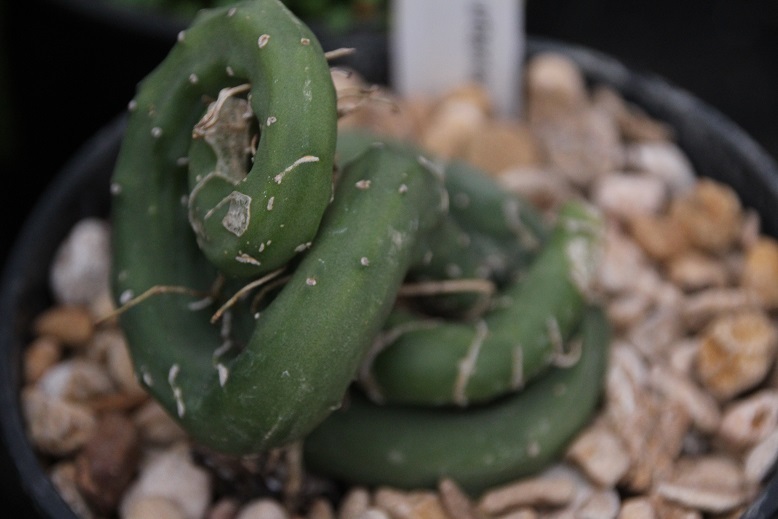 Usually it is a dull plant with occasional strange growths, but this was a spiral cutting from a friend and it has continued to spiral. One day I expect it will sort itself out and become uninteresting again but while it makes these tight coils I will endeavour to protect it. My other obsession for the year has been Australian Dendrobium. I have grown D. kingianum for years and have a number of forms. They are astonishingly hardy and quite by chance I have added a few other species. D. speciosum has grown well for several years and eventually it will make a large plant with long sprays of scented cream flowers. I haven't got there yet, it took me a few years to work out what it needed but I think I understand it better now, and the new pseudobulbs are getting bigger annually. While I have been learning, it has been surviving some seriously cold winters so I think it should be hardy. 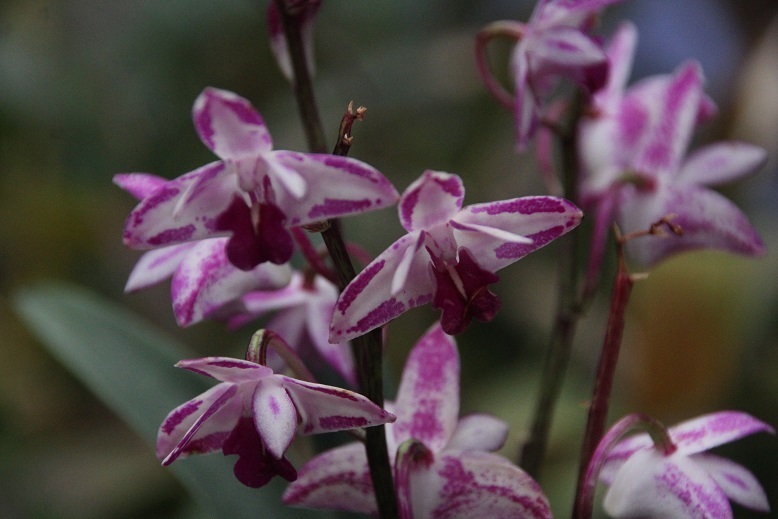 And then I discovered that the charming Australians had been hybridising their tougher Dendrobium for decades and there is a wealth of interesting things to try. Still not easy to obtain in the UK, a few appear from time to time and I am keeping my eyes open. D. x speciokingianum is one of the most recent arrivals - it was in flower when I took it out of the box - and it is a simple first generation hybrid that I thought looked good. Orchids derive their name from the greek for "testicle" and I have grown hundreds, no wonder they cause a sort of madness. In checking the derivation I have just discovered that in Middle English they were called ballockworts which made me smile. Hydroponic cactus bench. View from the spare bedroom . Agave house. The sea of cacti extends before us all like a warm ocean of madness. I enjoy paddling in the shallows and I have done so since I was a child but I take care. I think we all know people who have swum out so far they have turned into tuna and will never again walk upright on the land with their fellow man. They communicate in strange ways, there was an article in the New Scientist showing that herring communicate by high frequency bubblefarts. Cacti are lovely, but that's going too far for me. If I am going to grow them, they will have to teach me something new, which is why I built this hydroponic bench. In 2016 the whole lot were converted to hydroponics and they have come through the first winter well (a few large specimens are still in soil mixes, I think they are headed to the Agave house eventually). I don't dry them off in winter, I want to know what happens when the water freezes. Hasn't happened yet. I haven't got the feeding regime sorted out yet, I need to find a way of adding liquid feed from time to time. I may end up with a bottle of baby-bio beside the bench and just shake in a few drops every week. The Agave house is starting to work well. 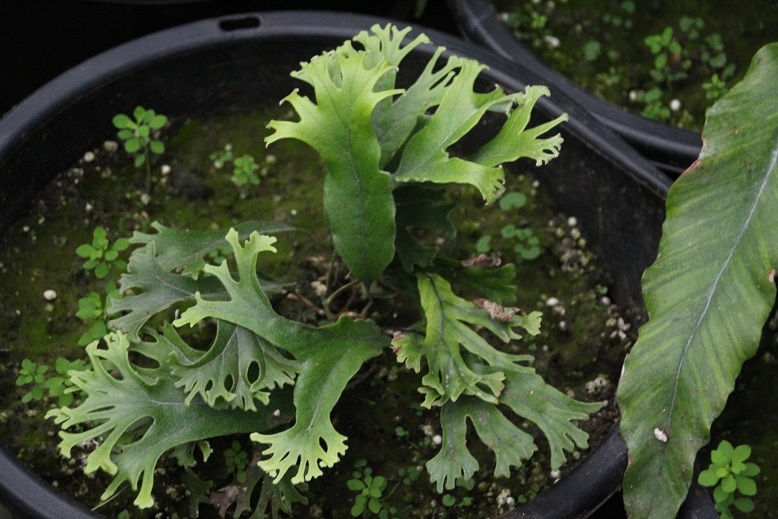 Some of the specimens that were too big to keep in pots are growing to maturity. Some of my old Yucca have got their toes in and will be shrubs before long. They can be cut back when needed. The Cleistocactus will regrow if I have to chop them down. Some of the "tender but not very succulent" stuff is coming out to make space. Albizia julibrissin came out last week. It is now sulking outside while I look for a space. It will probably die, summers are too cool for it here but it was six feet tall and stooling it evey year was just making it bigger. It will have to take its chances with the New Year. So that's the view from the garden, and this is the view from the spare bedroom window. The room is warm in the bright sunlight streaming into the south window. I should cut more trees down, I should let more light in. I should plant out more from the greenhouse. Time will show what actually happens. I will almost certainly buy more Pyrrosia and there are Australian Dendrobium out there waiting to gladden my heart. For now I have to go and splash around in the greenhouse cleaning up the Sarracenia, just a couple more days and it will be done.